Are you searching for turnkey curriculum so you can spend less time planning activities for your math club and more time impacting students? Join a community of educators working toward closing the gender gap among girls in STEM and receive resources via email to help you run a successful math club for girls! Hey there, change agent. Sign up above, and we will send you an email with a free club planning guide that you can either print or fill out on your computer. 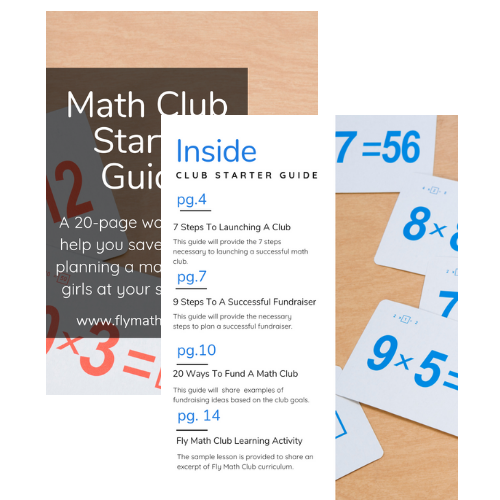 It's filled with action-packed instructions and tips to save you time with planning and launching a math club for girls at your school or community site. The necessary steps to start a successful club with strategies for recruiting members, managing club logistics, and operations. 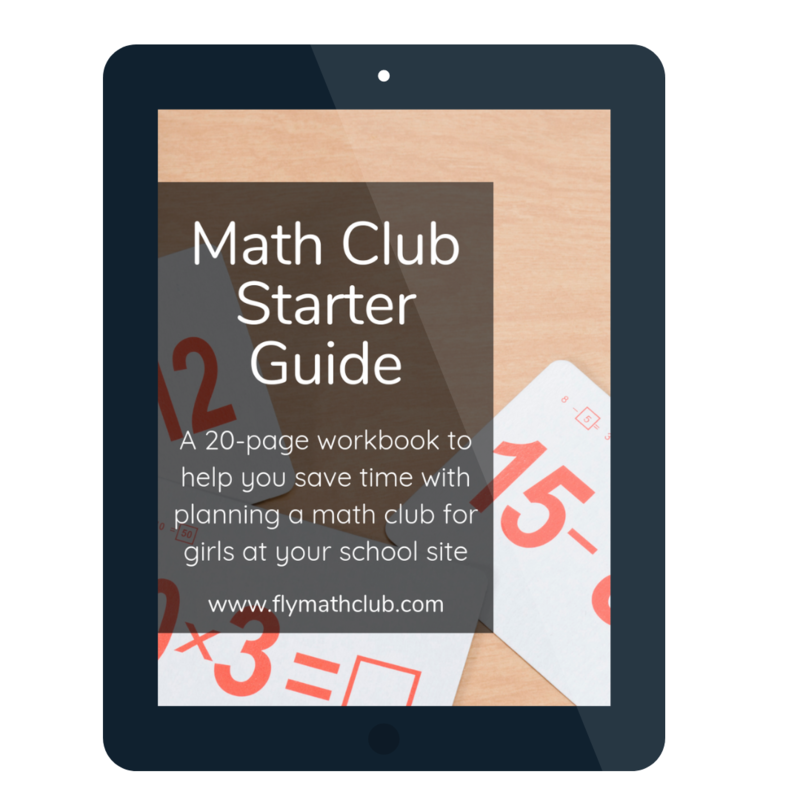 An example Fly Math Club lesson plan with simple, engaging lessons that don't require a lot of preparation time and targets all girls (not just the math wiz kids) while promoting student leadership, academic confidence, and student choice through math. Fundraising ideas and the steps to launch a successful fundraiser. There are several ways to fund a school club, but this guide will provide the necessary steps to plan a successful fundraiser and share examples of fundraising ideas based on your club goals. Thank you for subscribing to the Fly Math Club newsletter community! We have received your request to join our newsletter community and wanted to be sure that you received the Fly Math Club Starter Guide as promised. The rest of your bonuses for being a newsletter subscriber will arrive in your email over the next several days. Be sure to add candice@flymathclub.com to your Safe Senders list (or drag this message to your Inbox on Gmail) so you won’t miss any of the useful materials we’ll be sending your way!